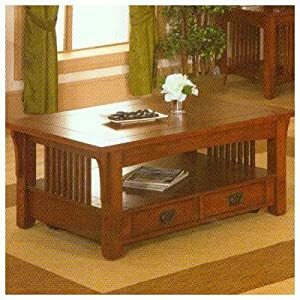 232-6 Features: -Lift top table.-Rubberwood solids with oak veneer.-Top lifts and stays in place for easy dining from a couch. Color/Finish: -Finish: Medium Oak. Assembly Instructions: -Assembly required. Warranty: -6 Months manufacturer's warranty.